Investigators from the California Department of Justice continue their work reviewing computer records following a March 24 raid on the Manse on Marsh, an independent living facility in San Luis Obispo. More than a dozen investigators from the department’s Medicare fraud and elder abuse division seized files and computers during the search. The search was conducted using a search warrant, DOJ Press Secretary Kristin Ford, said. 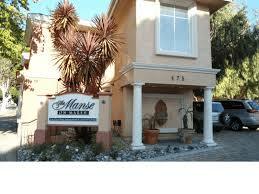 The Manse on Marsh is an assisted living community that provides seniors with care and amenities. The property includes 87 apartments located in three buildings. After investigators began searching the facility, owner Chris Skiff called a group meeting for residents and staff in which he advised them to contact an attorney before speaking with investigators, a family member of a resident said. Skiff said the investigation was prompted by the accidental death of 65-year-old Mauricio Edgar Cardenas of San Luis Obispo, a resident of the Manse on Marsh. Cardenas was attempting to cross Los Osos Valley Road in Los Osos shortly after 6 p.m. on Dec. 21 when he was hit and killed by a 2010 Dodge Challenger driven by 26-year-old Ricardo Serafin. The California Highway Patrol determined that Serafin was not able to avoid Cardenas because of the darkness at the place where Cardenas was crossing. Skiff said the DOJ investigation is common following any unusual death of a resident. However, several managers at other independent living facilities said they have had unusual deaths in the past, including a murder, and that there were no DOJ investigations into their facilities. Don’t miss links to updates on local news stories, like CCN on Facebook. I have heard some stories that make me think there are sketchy financial things happening here. One friend said they refused to refund the unused portion of his mother’s prepaid meal account (a whole lot of money) because they weren’t given 30 days notice. Of course, she had died unexpectedly and never got to eat the meals, but they felt entitled to keep the money. This isn’t the only story I’ve heard.